If you had two days before they came. To enslave you. 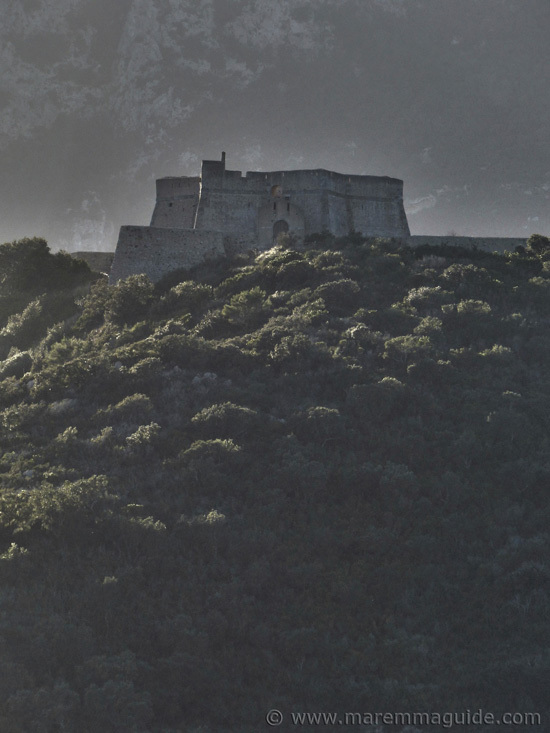 The stunning star-shaped Spanish fortress of Forte Stella, sat high up along Maremma's silver coast on the breathtaking Monte Argentario peninsular, was built for one reason. And one reason only. 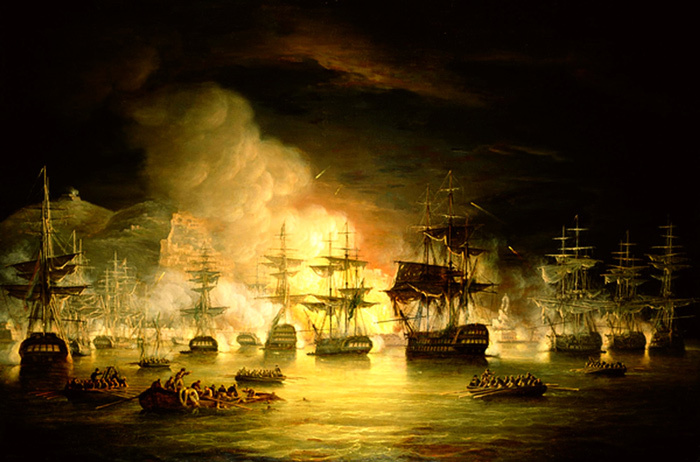 To give the King of Spain's governor and his military staff two days warning of an approaching Corsair pirate fleet. 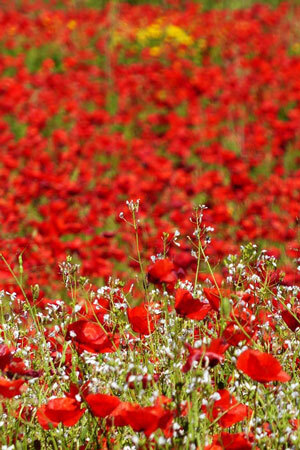 Two days in which to do all they could to repel an attack. With ship-mounted cannons. To convince the cut-throat Ottoman Pasha, Barbarossa the "Red Beard", and his seasoned admirals that today wasn't going to be the day that they sacked, burnt, pillaged and raped Porto Ercole. That they would have to wait until the next time. 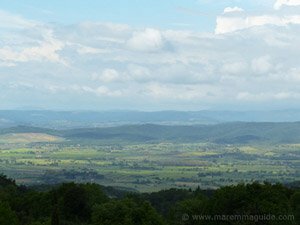 For, over the history of Maremma, there had always been a next time. Maremma's coast was just too close to their north African bases and ripe a target for feeding the Constantinople slavery markets with new victims. In three centuries their raids sold into slavery more than a million men, women and children from along the Spanish and Italian coasts. So bad were their attacks - they left nothing standing and no one alive, sometimes returning to a village a day or two later to pick-up anyone who had come out of hiding - that it took great courage and time for a town to rebuild itself. Many were permanently abandoned all together. But Forte Stella had an advantage. For its line if sight south stretched all the way to the coastal city of Civitavecchia to the north of Rome and the promontory of Capo Linaro beyond. Around which direction the Barbary pirates invariably always came. A line of sight that in the 16th century was two days long. 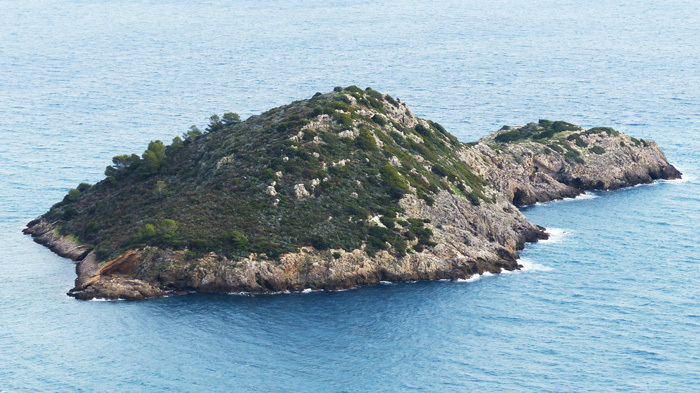 The Spanish King built Forte Stella to protect Spanish coast. 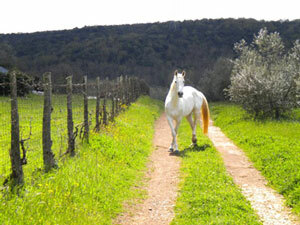 Here in Maremma. 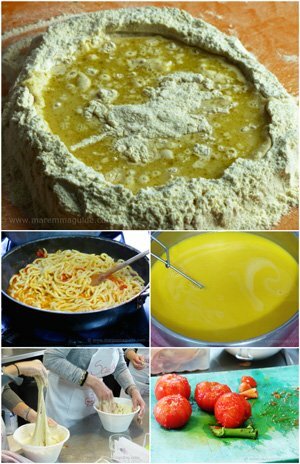 And to understand why, you need to know about the "Presidios di Toscana". The State of the Presidi. And how it came to be that Spain owned and ruled an incredibly strategic part of Italy's coast. 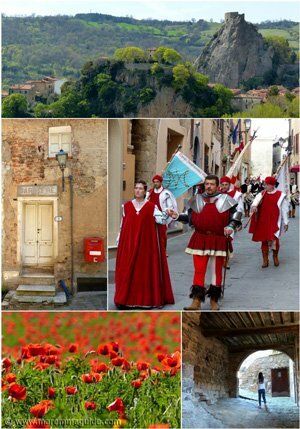 How did five, ever so strategic and of great military importance, Maremma coastal towns and their hinterlands, fall into the possession of the Crown of Spain and be ruled by it for 150 years. 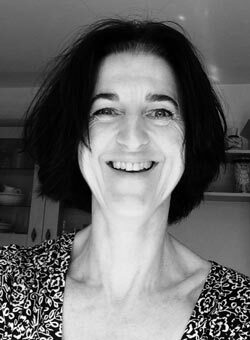 Outwith Tuscan and Italian law? Before becoming the property of Austria and then the King of Naples? Well, because they once belonged to the Republic of Siena. A Republic that, in 1555 finally fell to the control of the Duchy of Florence, ruled by Cosimo I de' Medici. Who then became the Grand Duke of Tuscany. But he didn't manage to win his bloody battles with Siena, nor the final deciding and exceptionally sanguinary one that sealed Siena's fate at Marciano della Chiana, on 2 August 1554, without help. Help in the form of military support from the Holy Roman Emperor Charles V, King of Spain. And his son, Philip II of Spain. Whose infantry, cavalry, veteran soldiers and cannons provided the additional forces needed to conquer Cosimo's last rival in Tuscany. The Republic was dismembered. Divided between Cosimo I and Charles V.
The payback for Charles V and Philip II, and a huge one at that, came in the form of the "forever in fief" ports of Porto Ercole and Porto Santo Stefano of the Monte Argentario peninsula. The lagoon town of Orbetello connecting it to the mainland. The town south of Ansedonia. 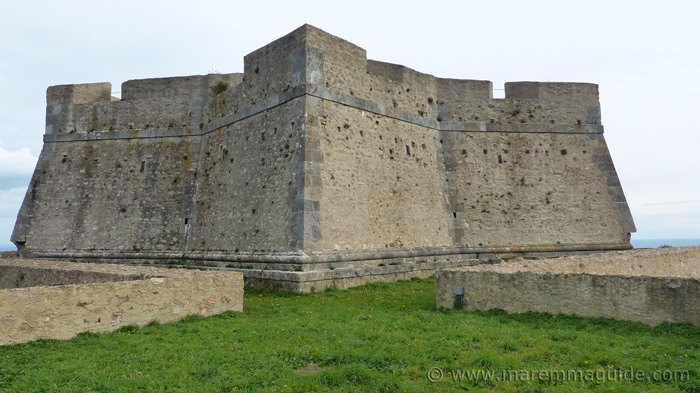 And the fortified town north of Talamone. All in all a territory of 287 km². The treaty drawn-up in March of 1557, agreed in London in the "trattato di Londra", and finalised in the Florence Treaty of 3 July of that year, was signed by one Don Giovanni Figueroa on behalf of the Charles V. It formed the State Presidium under the governorship of the Spanish viceroy of Naples. The Stato dei Presidei is also written in documents as Presidii or Presidî. Why huge? Not because of it's size. But because control of those ports and towns meant control of the Italian coast and maritime movement from Genoa in the north all the way down to the Bay of Naples in the south. 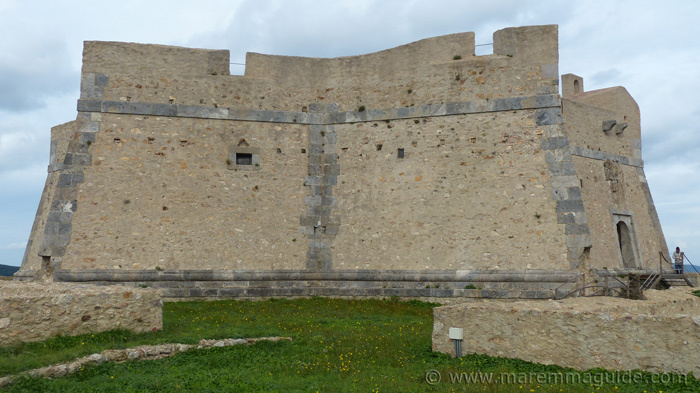 Invaluable in Charles V's war against the French, who also still occupied Talamone. But not for long. 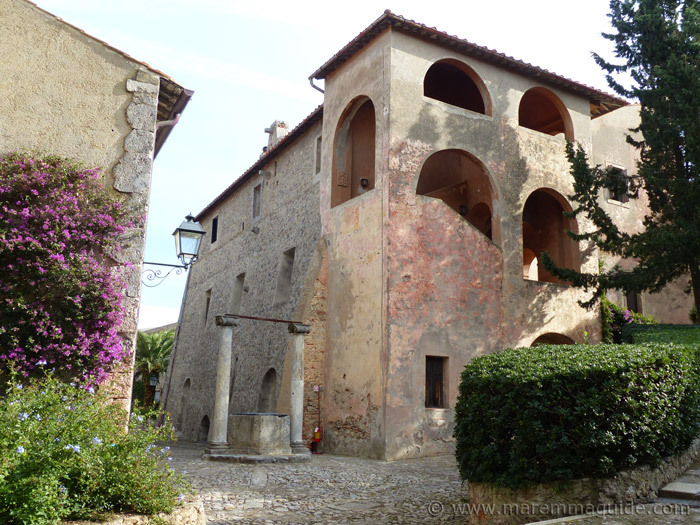 Take a walk into old Porto Ercole and you will find the Palazzo dei Governanti, the seat of the Spanish governors. With its rather beautiful original wrought-iron lamp. Adorned with iron faces. But the immediate threat of an attack by the French wasn't the only problem to solve. Maremma was overdue another raid by Turkish Corsairs. Monte Argentario and the Presidii coastline needed protection. Undefeatable, Spanish-style protection. 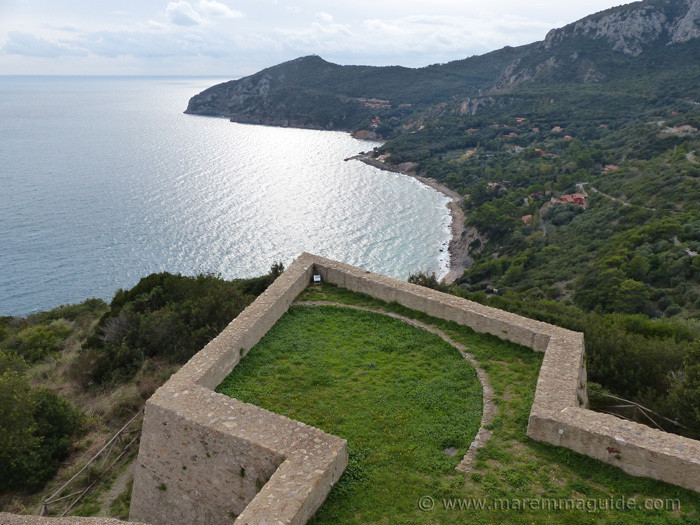 With 1500 ducats in his coffers, the viceroy of Naples set about strengthening the existing medieval and Renaissance Aldobrandeschi castles: La Rocca Aldobrandesca above Porto Ercole and fortifications at Orbetello. But those ducats drained away with delay after delay and fell short of what was needed to do the job there. And that was just the start. 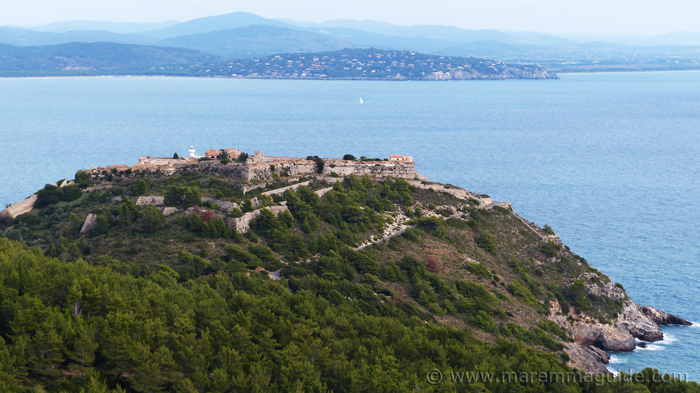 Architects were brought in to build new towers and forts to link the existing Sienese ones of the Torre dell'Argentiera, the Torre di Capo d'Uomo, and the Torre della Maddalena on Monte Argentario, with the Rocca Aldobrandesca di Talamone. Each to be able to see the other and in any event, not more than three miles apart. All with one purpose. To keep look-out and give warning of the arrival of an enemy fleet. Night. And day. 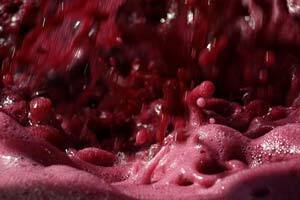 To give the viceroy and the inhabitants of Monte Argentario, as well as those living further inland and along the coast under the rule of the Cosimo I di Medici, now Duke of Tuscany, those two days to prepare to fight. Or flee to fortified strongholds inland. 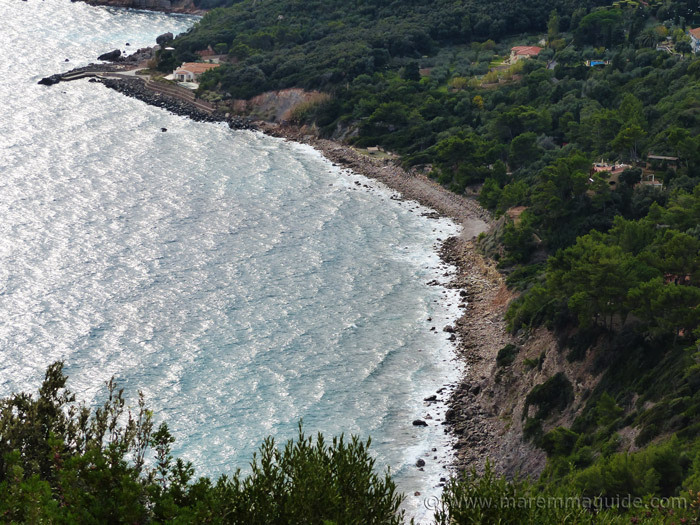 Porto Ercole in Maremma Tuscany by kind permission of local photographer Luca Coscarelli. 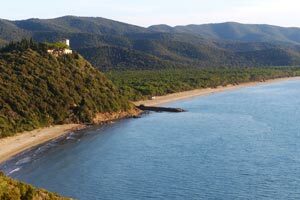 Starting from the right and sweeping left, there is the beach of the Riserva Naturale Duna di Feniglia nature reserve, that connects Monte Argentario to the town of Ansedonia. The yacht marina at Cala Galera. And then the first wooded hill that reaches the sea, with, at it's top, Forte Filippo. 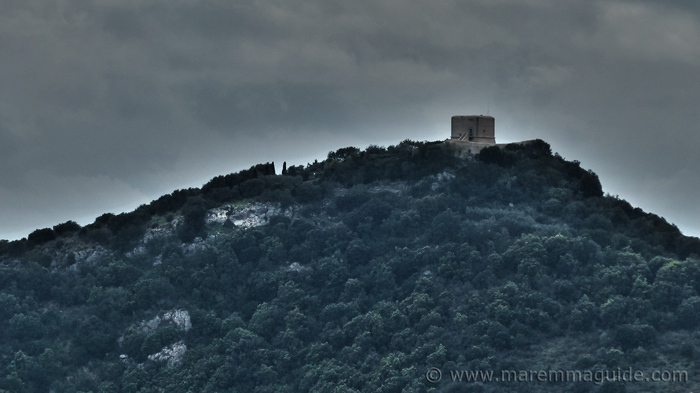 Below it the fortress of Santa Caterina. Then to the left is the port that it protects. In the 16th century there was only a building or two there. 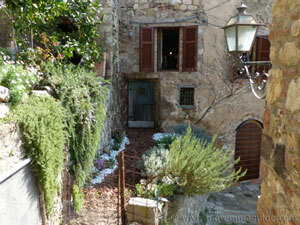 And on the hillside opposite Forte Filippo, on the lower slope, old Porto Ercole. The walled historic centre, home to the Palazzo dei Governanti. 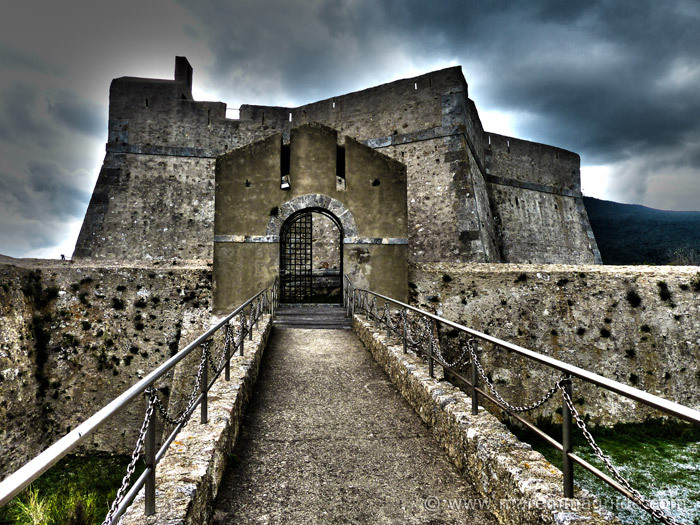 With steps that reached up to the Rocca Spagnola - the reinforced and expanded Aldobrandeschi castle - on the highest point. 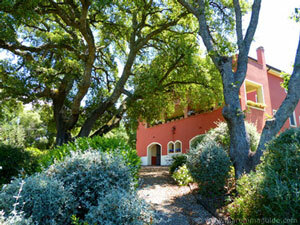 Trace your line of sight up the wooded hill to its next peak, and you will be at Forte Stella. On the promontory behind it, again at the highest point but only a few pixels wide at this scale, is the Torre Avvoltore. Out to sea beyond the Torre is the Island of Giannutri. 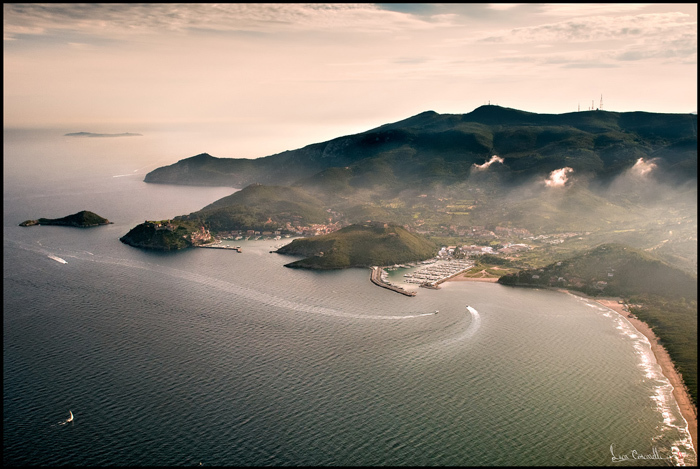 And coming back to Porto Ercole is the smaller island called the "Isolotto di Porto Ercole". Forte Stella had a predecessor: an older fortress called Forte dell’Avvoltoio. It's position was a military strategist's dream. 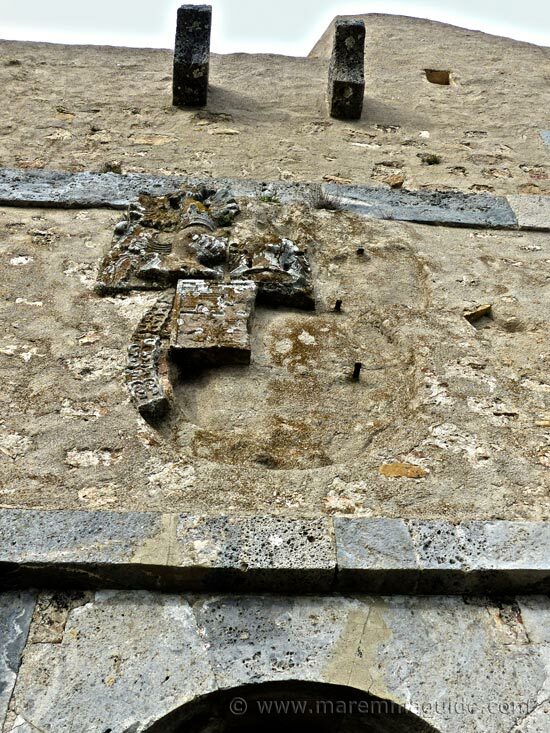 Surviving records don't tell us precisely when the building works for the new fort were started: from the architects designs and transcripts of papers it is thought that it was probably in 1609 or 1610. 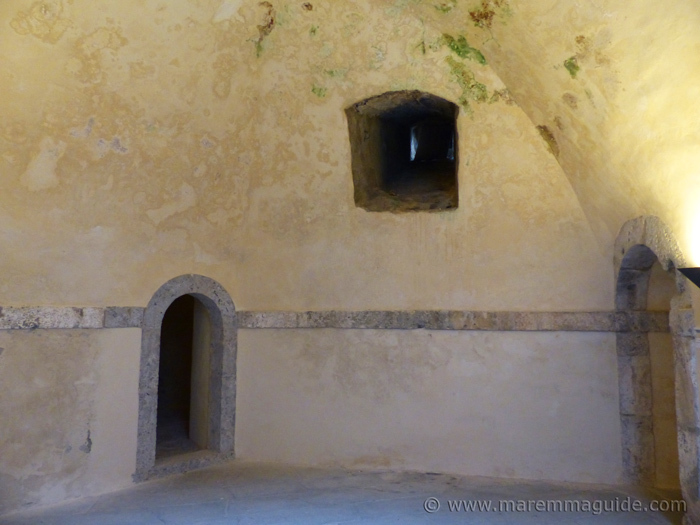 But we do know that Forte dell'Avvoltoio was still there at the tail end of the 16th century, and that not all of it was demolished in the foundation works for the new fort. 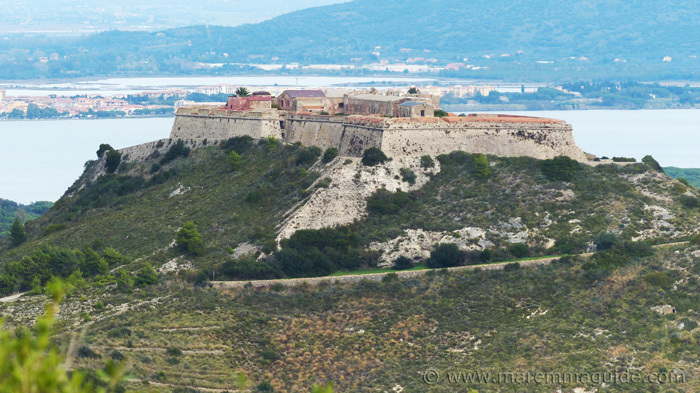 That King Charles built Forte Filippo and had the Rocca Aldobrandesca expanded and strengthened first. 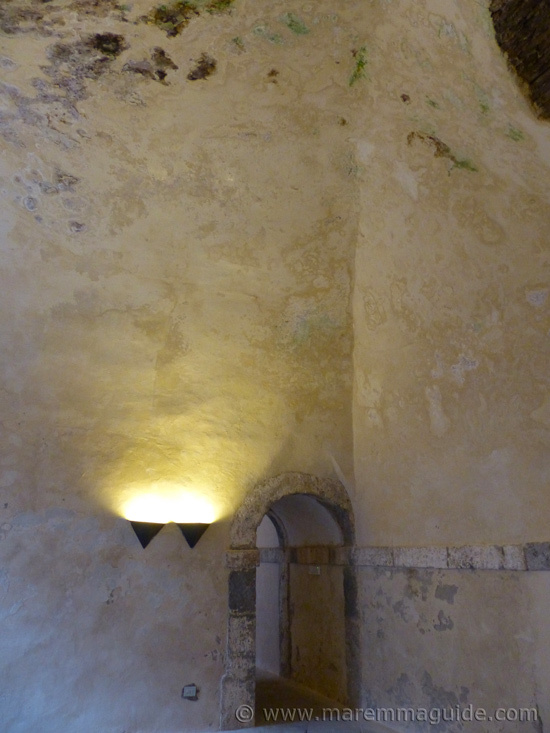 And that the Spanish architects who designed Forte Stella didn't live to see it's completion. For the works spanned over nearly one hundred years. During which, at times, Fort Stella didn't look anything like the star it was meant to. Until the end. The King of Spain, Charles V, and his son Philip II were quick to establish a new garrison there and concentrated their resources of men, supplies and ships in and around it in a way that was unprecedented then, nor witnessed thereafter. Forte Stella was their star, in more senses than one. 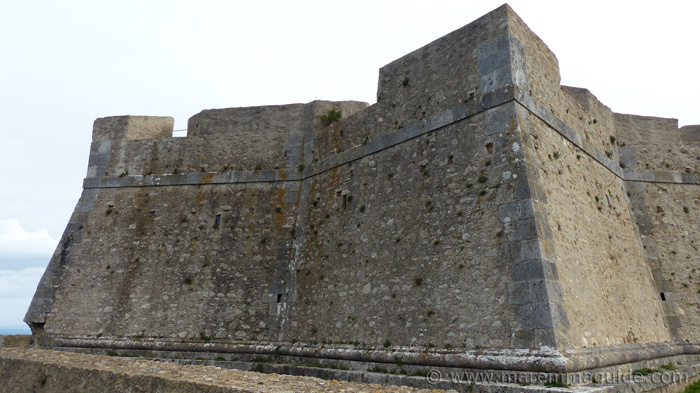 The fortresses external curtain walls form a quadrangle, with pentagonal ramparts. 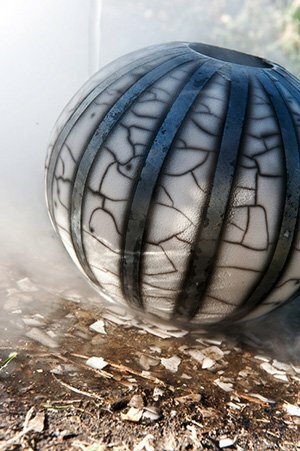 Thick, earth-filled walls, to absorb the impact of cannon balls and remain standing. Surrounded by a system of tiered ditches down the cliff face and hillside. The one and only entrance door opens on the north-eastern side of the outer curtain wall. With a demi-lune to protect it and divide any assaulting force that hasn't already been forced into retreat or over the outer wall onto the cliffs below. The fort proper sits inside. A six-pointed star with tall, thick curtain walls built on a huge shoe base. 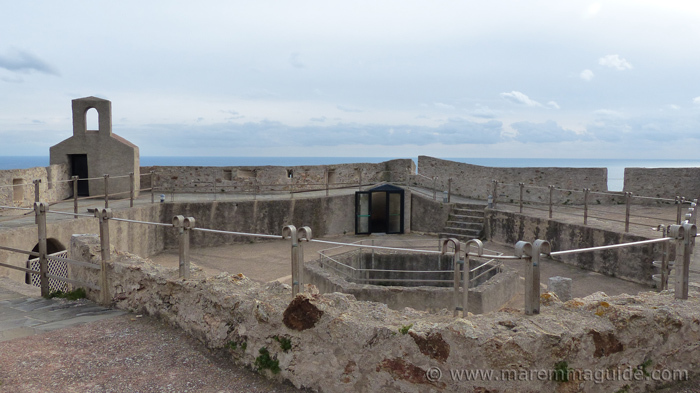 With a wall walk, with sentry boxes and bell towers on each vertex and a watch tower from which to send light signals to the Torre Avvoltore, to the La Rocca Spagnola, to Forte Filippo, to Forte Catarina, to Orbetello and Ansedonia. 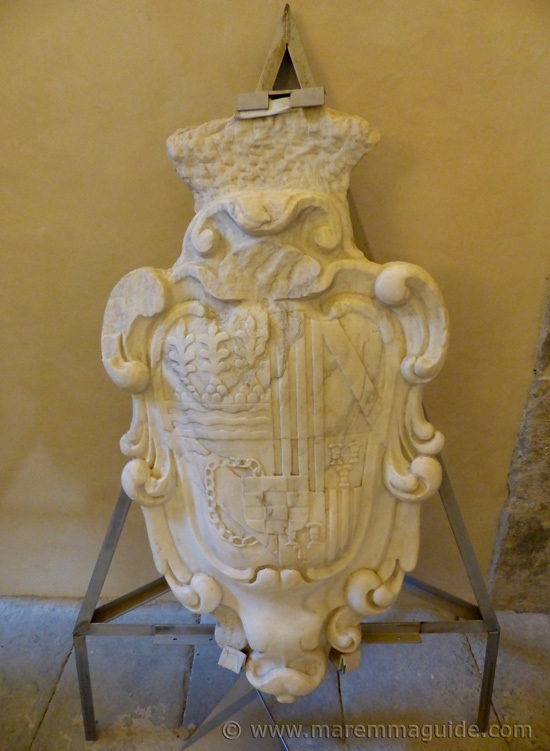 The remains of the coat of arms above the only door in. 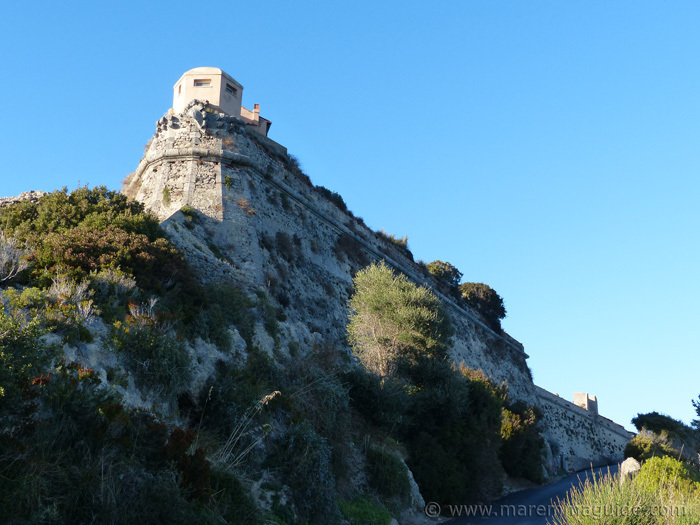 I went on a November day when the sun shone in the morning for a tour of the Spanish Rocca Spagnola - see below - but by the time we had arrived at Forte Stella the clouds had come in, the sun had gone, and the wind had gotten up. 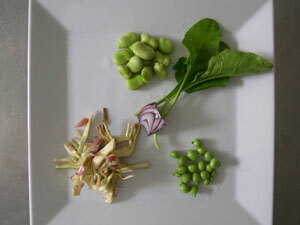 The most notable thing when you first step inside the Forte is the difference in temperature. Once through it's door the entrance corridor takes an angular turn (nothing acute) and the cold and wind is gone. And you enter the first of six exactly the same shaped and sized rooms. 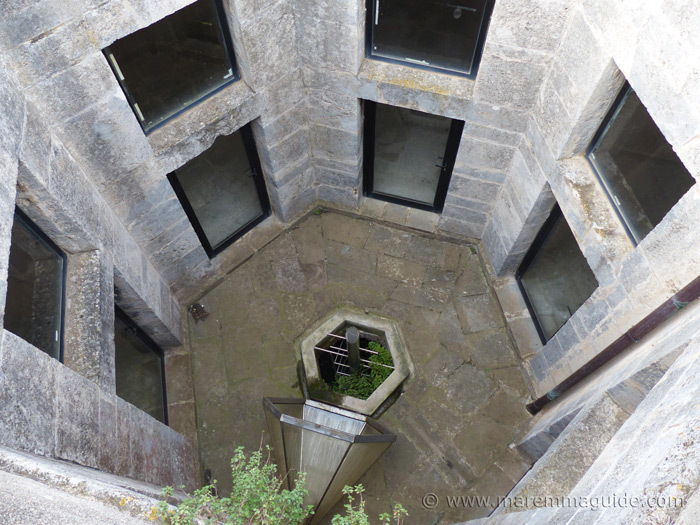 And, unless someone opens the door to the internal courtyard and cistern the effect of which which will take you by surprise as the wind whips through hard, heading straight for the front door. You would be mistaken for thinking that the heating system was on. Identical, except for the ante-chamber of one, which takes you up a solid stone "chiocciola" (snail) staircase to up top and outside. The conversation amongst the group of friends I was with ventured along the lines of us collaborating on purchasing Forte Stella - it isn't for sale! it belongs to the Ministero per i Beni Culturali e le Attività Culturali (the State Ministry responsible for historical and archaeological sites in Italy) - each of us putting money in to own one "mono-locale" studio home. With a sixth share of the terrace on top. Forte Stella was acquired by the Ministry for Cultural Heritage in 1982, for the non insignificant sum of 385 million Lire. And the surrounding land for another 80 million. Unusually for Italy, the Ministry didn't hang around in getting started on restoring it. The works began a year later in 1983 and took 18 years to complete. At a total cost of... ready, 1,606 BILLION Lire! But I quite fancy the whole place to myself. Just dreaming! My huband, Fabio, wouldn't have any of it I don't think. He's so practical. 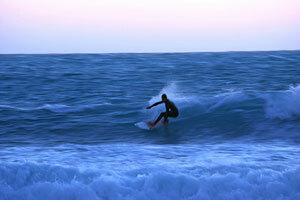 But it is closer to the sea, which is his only sticking point if we ever move house again. I just don't think a 16th century Spanish fortress what he had in mind! The ante-chambers with a view! Being on guard duty here you would have been in no doubt about where your line of sight and attention should be. The originals. I checked with the archaeologist with us who looks after the fort. 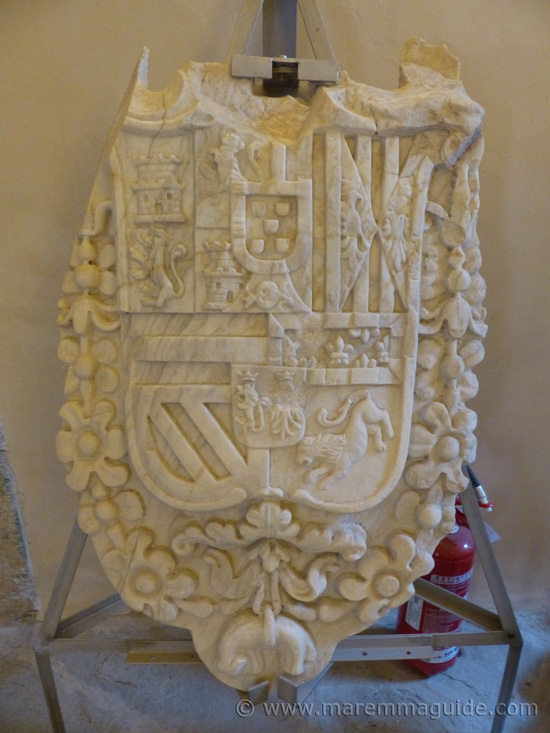 The first was originally above the entrance door and contains the crests of the Royal family of Spain. The inner fortress courtyard and its water cistern below. I decided not to go down that ladder, but to stay above ground and enjoy the views up top instead. Up top. If you go on an autumn or winter's day, take a hat and a scarf. The wind blows pretty cold up there, even when it feels a lot less so down on the lawns below. And the views get even better. 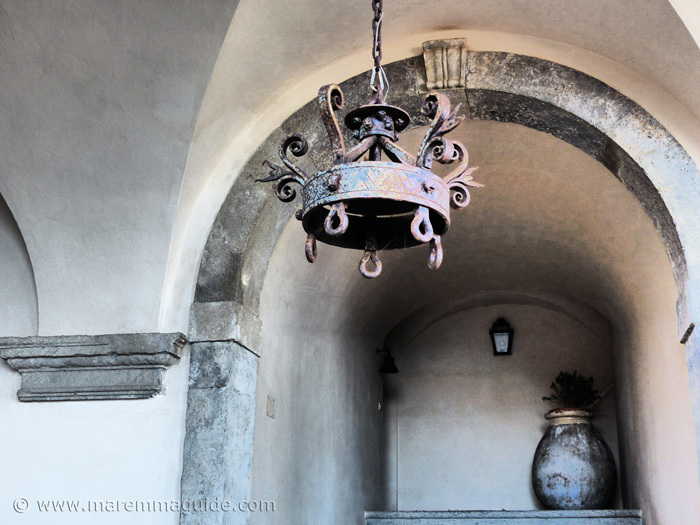 Forte Filippo was sold years ago, divided into apartments, and is entirely in private hands. You cannot take a look inside unless you happen to have a friend who lives there. But. You are permitted to trek or cycle up the hill and along it's access road. 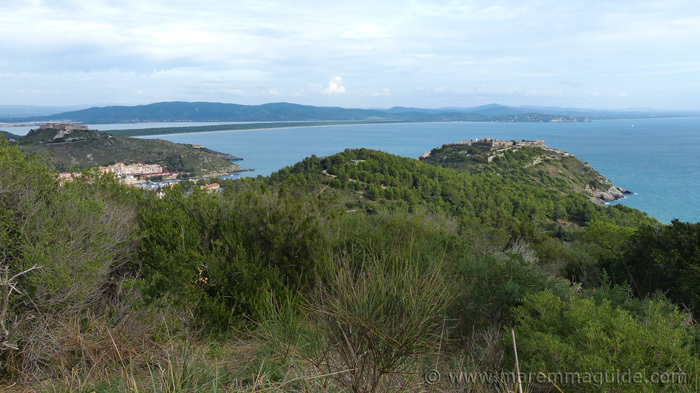 You'll get some good shots from close-up and the views of Orbetello and Porto Ercole are well worth the effort. The best place to leave your car is in the large main - just north of the confusion of the town centre - car park. It's a pay and display one on most days - including weekends and holidays - so make sure you put in enough hours when getting your ticket to allow for getting to the top of the hill and back down again. 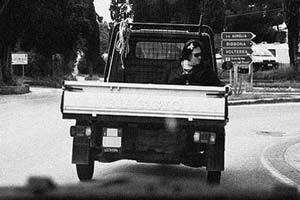 Or you might find a "muoto" (fine) waiting for you. The tiny island in the Tuscan archipelago called the Isolotto di Porto Ercole is - even if it feels that you could nearly touch it from the bay of Le Viste and its beach - only reachable by boat and is inhabited by birds. Lots of birds. Especially seagulls who don't take kindly to being disturbed. 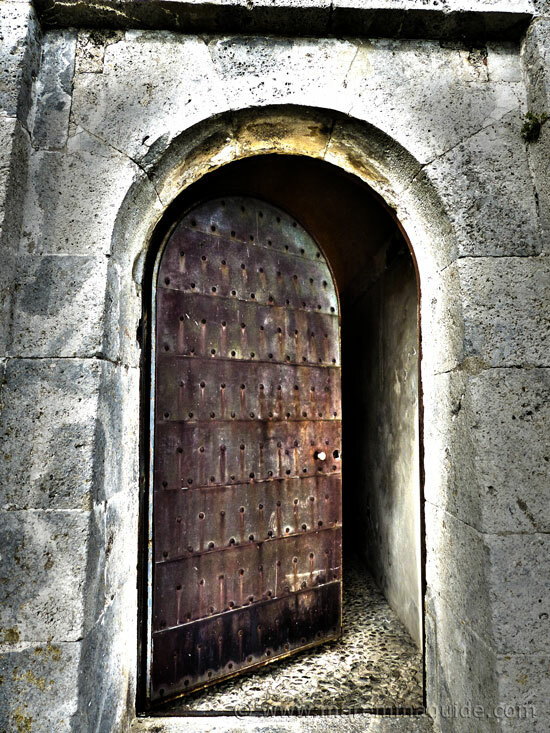 Forte Stella is open to the public during the month of June, on Saturdays, Sundays, and bank holidays. From 10:30 to 12:30 and from 16:00 to 18:00. And every day during July and August from between 10:00 to 13:00 and 18:00 to 21:00. 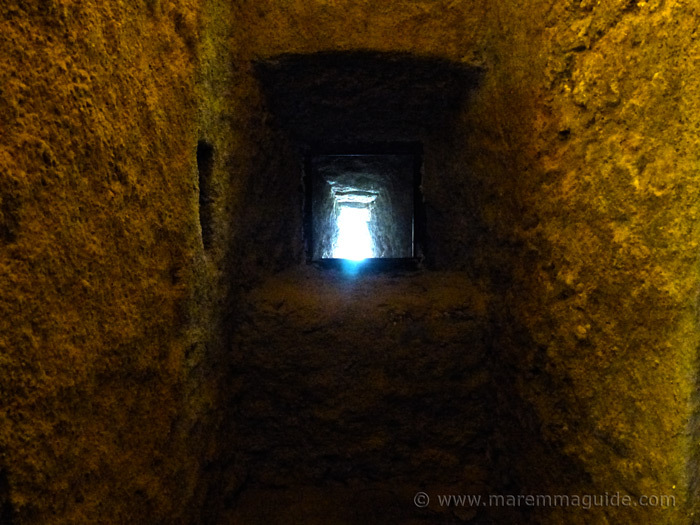 If you plan to go during those months, try to go on a Monday or a Friday for 18:30 because there is a free guided tour - from a local archaeological expert with a passion for all things Maremma - which will tell you all sorts of wonderful things. And if you have children with you on a Tuesday, at the same time, for an educational activity about the environment. You can participate too if you want to! You will also find that during July and August the fort is host to a variety of art exhibitions. But. 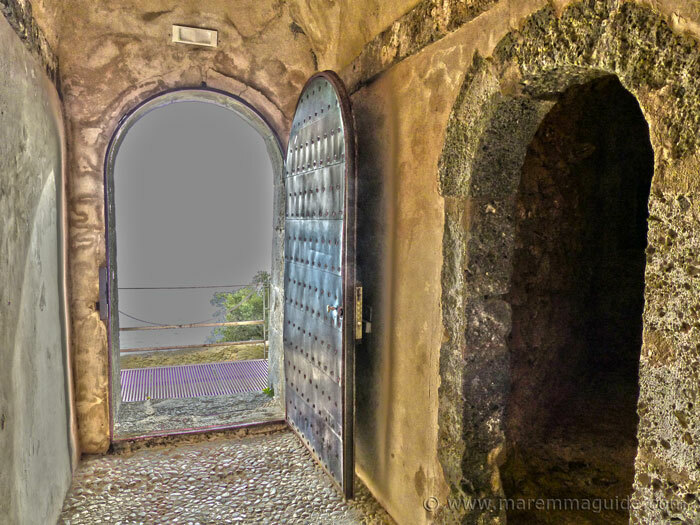 My favourite time to go is on a night in mid-June for the "Aspettando il Solistizio al Forte Stella" - waiting fro the summer solstice - with a guided night-time tour of the fort and grounds between 21:30 and 23:30. And then again in mid-August, for nothing less than a night of "stelle cadenti" - falling summer stars. Again with a guided tour between 21:30 and 23:30. But you will have to go outside and underground, down inside the outer walls to reach them! Yep! 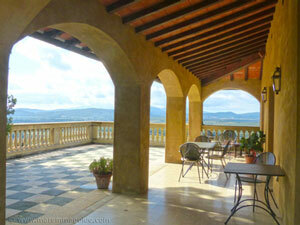 You can get married in Forte Stella, outdoor on the rooftop with that view, if you want to. And couples do, local and international alike. The advantage you have if you are a local is that the price for hiring-out the whole fortress is only a tenth of the price for those who don't live in Monte Argentario. But, as destination wedding locations in Tuscany go, this one beats a dreamy Cinderella castle for me any day. 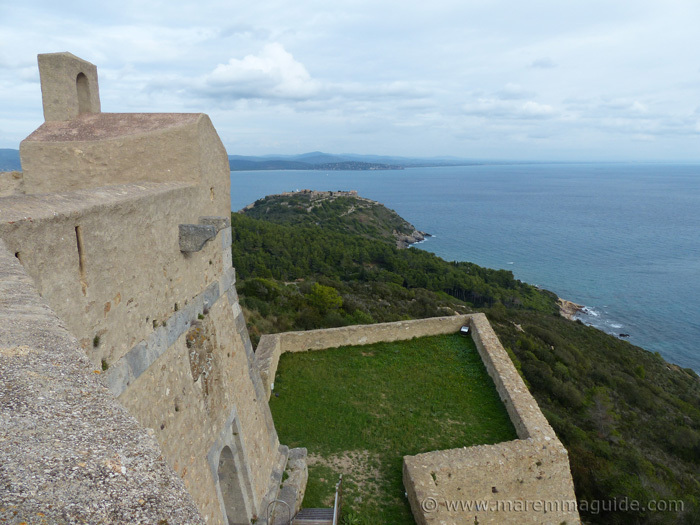 Porto Ercole has three more Spanish forts, not to mention two towers. 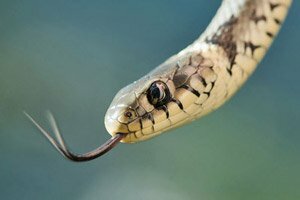 All are now in private hands, having been sold off by the local authority years ago and their contents literally given away for cents to anyone who wanted them. But, you can get to see inside one of them. The "La Rocca Spagnola", also known as the Rocca Aldobrandesca.